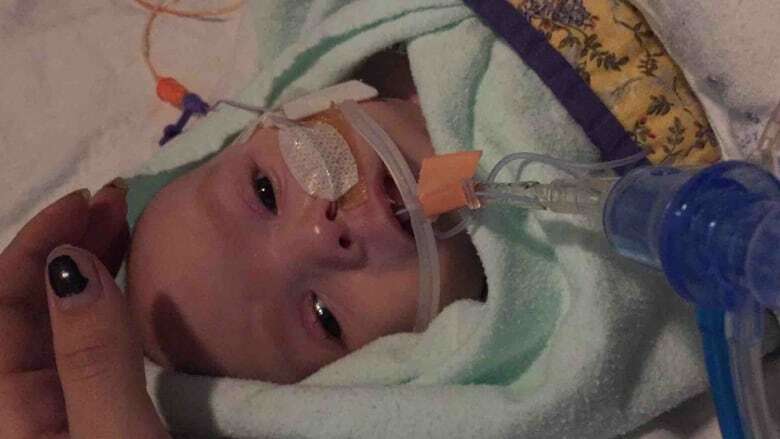 Zabryna Delaney says her two-month-old daughter was given three times the necessary dose of a powerful painkiller at a hospital in Sherbrooke. A two-month-old infant narrowly survived a fentanyl overdose in a Sherbrooke, Que. hospital after she was given nearly three times the necessary dose by hospital staff, according to a medical report reviewed by Radio-Canada. "The doctor told us, if she had been in a room elsewhere, if she had not been plugged into so many machines, she would have died," said the child's mother, Zabryna Delaney. She said she still finds it hard to believe how close her child, Alysse, was to death. On Dec. 19, Alysse's parents noticed that she was not breathing properly. This wasn't the infant's first medical complication. She was born prematurely and had already spent time in hospital. 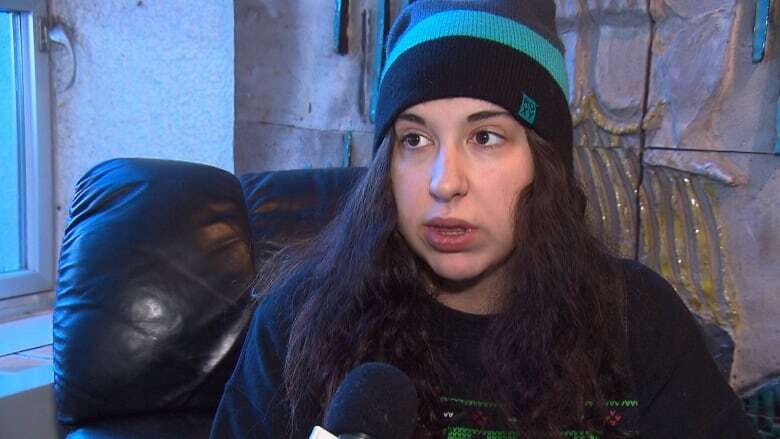 After arriving at Hôpital Fleurimont in Sherbrooke, Alysse was transported to pediatric intensive care and was diagnosed with an infected lung, Delaney said. She was breathing and eating through tubes and was on medication to keep her calm and still. One of those drugs was fentanyl, an opioid that's used as a painkiller. Her parents learned that overnight on Dec. 23, their child had "a bad night," Delaney said. The mother of five said her infant had to be revived after she stopped breathing and registered a weak heartbeat. Twelve days later, after an investigation, a doctor confirmed the incident was due to a medication error. Delaney said she had no idea how such a thing could happen, considering that hospital staff are supposed to double check medication doses. Alysse is now recovering in hospital and is undergoing tests. Delaney decided to share her family's story in the hopes it will prevent the same thing happening to another family. "I brought my daughter here to be taken care of, not so she would leave in a worse state," she said. In a statement to Radio-Canada, the regional health authority (CIUSSS de l'Estrie – CHUS) said it is conducting an "exhaustive internal investigation" to shed light on what exactly happened. The medical report obtained by Radio-Canada shows that Alysse was given the wrong dosage based on her weight, but it's not immediately clear how the error was made, or by whom. In the meantime, Delaney is considering legal action against the hospital and has launched a crowdfunding campaign to help cover the family's expenses, such as transportation to and from the hospital. She has also taken time off work to care for Alysse. As of Sunday afternoon, the family had raised $2,000 of their $2,500 goal. Paul Brunet, a patients' rights advocate based in Montreal, said this kind of medication error is more common than many people realize. ​"It is one of the most frequently [reported] errors that are made in the system," he said. Overall, errors with medication account for 27 per cent of reported incidents and accidents in the health-care system, according to health ministry statistics released in December. Falls were the most common overall, mostly due to incidents in seniors' homes. Medication errors were the most common type of incident reported in hospitals. Of those medication errors, however, most involved omitting medication (34 per cent) rather than dosage issues (18 per cent).